Does your horse have a sore back? 4 weeks since the brutal attack on Domino and police still need evidence please read https://www.thamesvalley.police.uk/news/witness-appeals/further-appeal-information-following-injuries-caused-horse-milton-keynes/ and if you know anything at all contact the police. Lastly we have "a call to arms"
If you're a citizen of the USA opposed to the slaughter of thousands of mustangs make those phone calls! 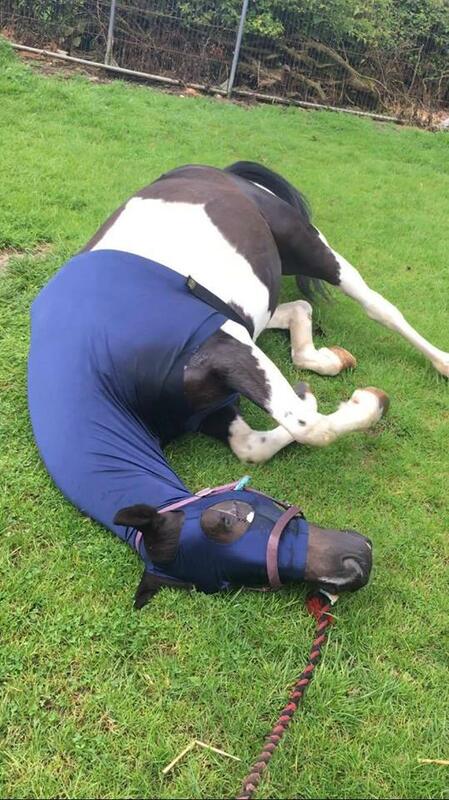 Photo is of Domino having a roll it's the PonyHour Pic of The Week.